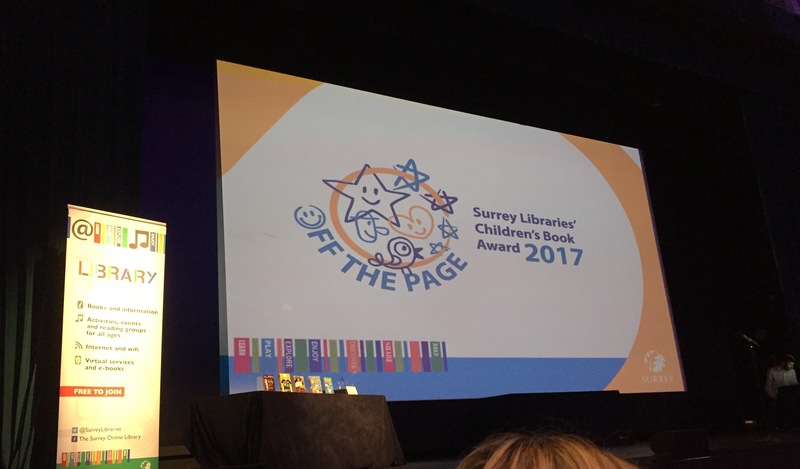 Dave Pigeon wins the Surrey Libraries’ Children’s Book Award 2017! I’m thrilled to the moon and back to let you all know that Dave Pigeon has won this year’s Surrey Libraries’ Children’s Book Award. I can’t tell you how special this award is to me. Not only is the short list selected by librarians, but the winning book is voted for entirely by children. Libraries played such an important role in nurturing my love for reading as a child which makes this award all the more special to me. 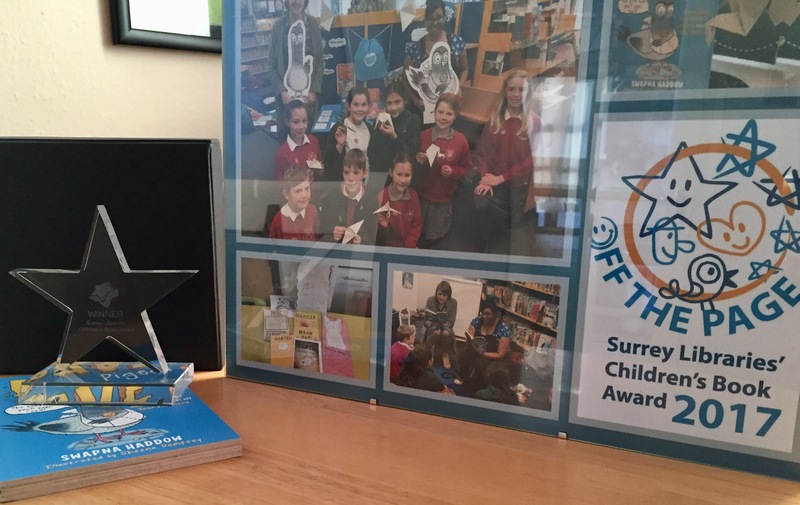 Sheena and I arrived at the ceremony, held at Dorking Halls, and we were so glad to see some familiar faces from our visits to schools in the area with Surrey Libraries. We were in for a treat. The children had prepared presentations related to all the shortlisted books. There were videos, stage play adaptations, talks, a song and a puppet show. It was incredible to see how hard the children had worked. 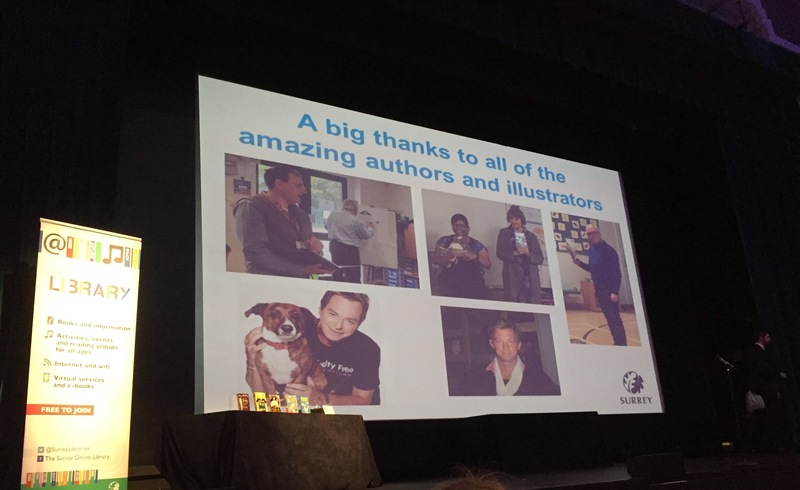 The shortlisted authors and illustrators were then presented with personalised photo collages to celebrate our time with Surrey Libraries and the schools involved with the award. It was following this that Dave Pigeon was announced as the winner of this year’s Surrey Libraries’ Children’s Book Award. Both Sheena and I were flabbergasted. The short list was so strong this year and full of some of my favourite reads ever. 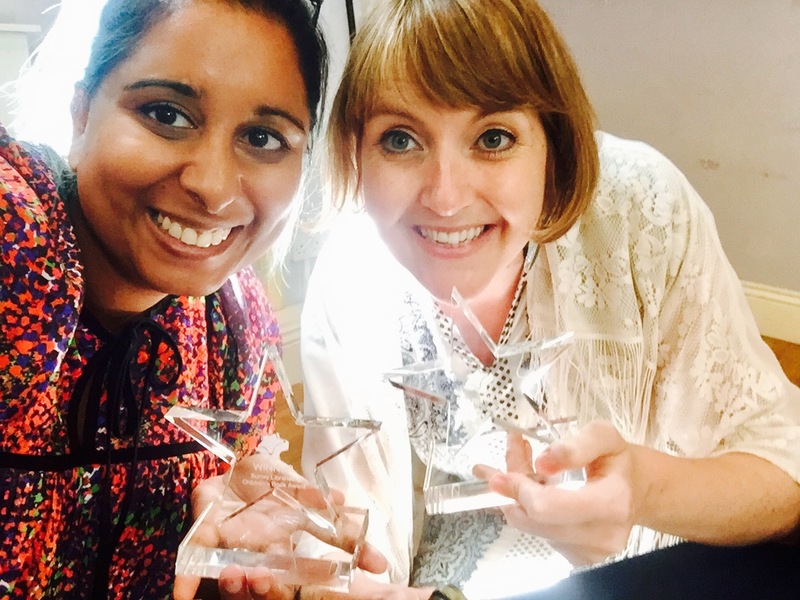 It was an honour to receive our star-shaped awards. Today will be a day I treasure forever. 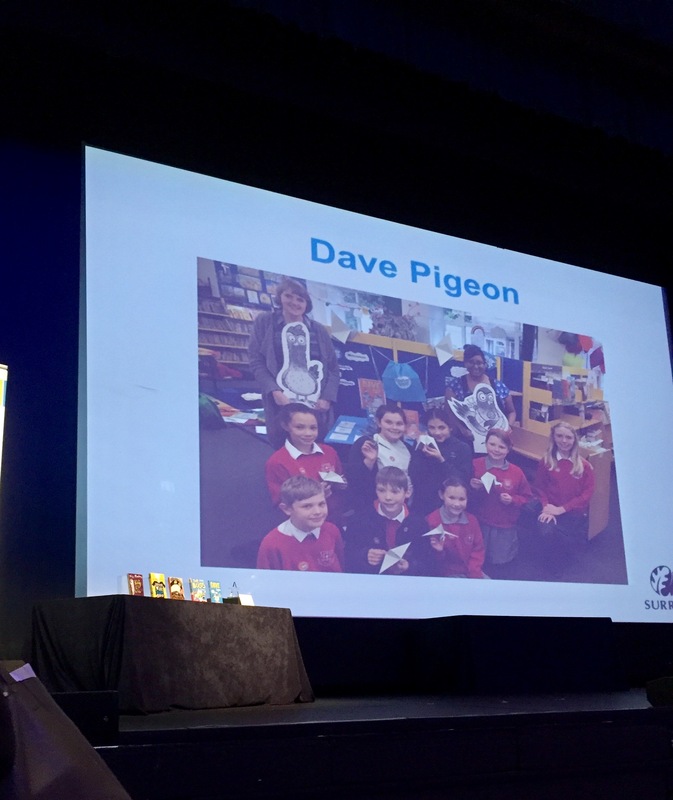 I can’t say thank you enough to the school staff and Surrey librarians who took Dave Pigeon to their hearts and championed him in making the book available to as many pupils as they could. 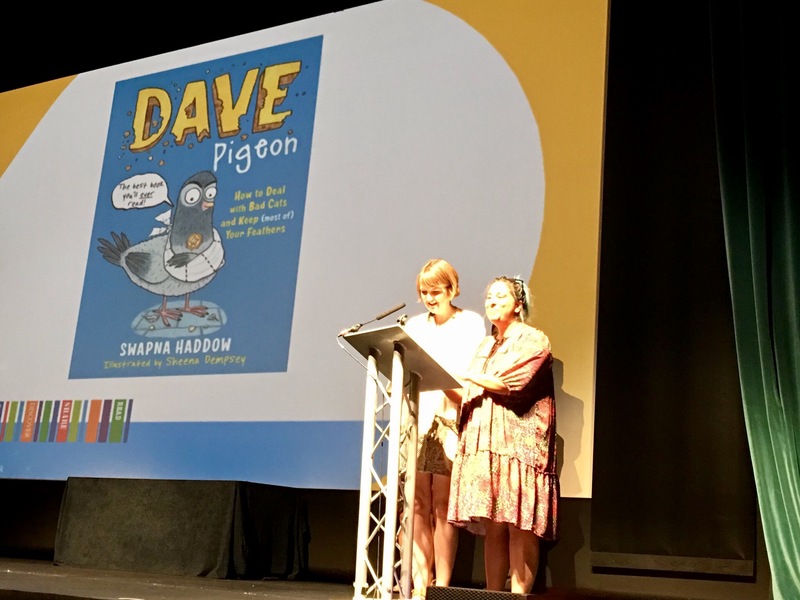 Most importantly I have to give the HUGEST and FEATHERIEST of thank yous to all the children who read Dave Pigeon, produced creative pieces inspired by the book, worked so hard on fabulous presentations and then voted for him. You are all rockstars and have the BEST taste in books.